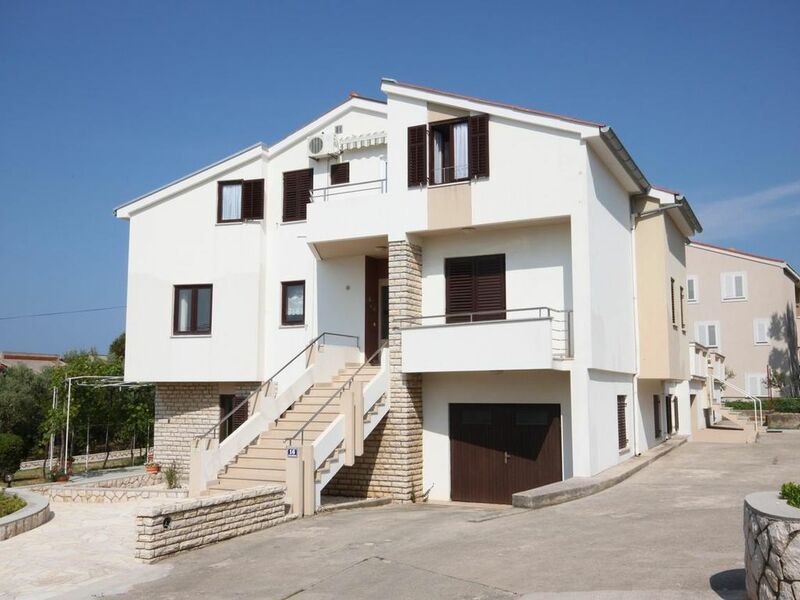 House 3307 in the town of Novalja, Pag - Kvarner has accommodation units of type Apartment (6) and is 130 m away from the sea. The nearest beach to this accommodation is a concrete slabs beach. The house is divided into several apartments, where other guests will be staying during your holiday. The owners will be present in the house during your stay. The house owner is under no obligation to accept additional persons and pets that were not stated in the reservation request and it is necessary to report them in advance. INCLUDED IN THE PRICE: final cleaning, air-conditioning, parking, internet, iron, ironing board, hairdryer, portable barbecue. OBLIGATORY ADDITIONAL COSTS: tourist tax (adults €0.67 - €1.35 night/person, discount for children aged 12 - 17), deposit (€200.00 one-time payment), short stay surcharge. OPTIONAL ADDITIONAL COSTS: breakfast (€6.00, a 50% discount for children aged 4 to 12 years, Free for children under 4 years), laundry (€5.00 washing), pets (€5.00 per night). Nette Vermieterin, alles sehr sauber. Wir waren sehr zufrieden. 5 Sterne kommen gerne wieder.